Another season is here, a 3CD release for Autumn 2006. Hope you all enjoy! I discovered this website three years ago and have every mix. I cannot explain what a blessing this music has been to my life. you guys rock the Trance World like no other. Keep on bringing to life the world of music. Glad you've gotten so many gigs recently. It's just a matter of time till you get to dj a summer olympics like Tiesto. Well I wanted to be the first one to reply but damn, someone always beats me to it, as usual. Yeah! Can't wait to hear it! I hope I'm not busy that day to listen otherwise I'll just download it later then. Just wondering what method you guys use to record your mixes. They sound very clear and of course are top-notch! Thanks. I'll miss the premiere of VOA06 , cause I get my key of a new house and have to do a lot of things in it. But I want this 3 set for sure. I seriously can't wait. I just listen to random mixes until the next one comes out. You guys do great work! I'm very confident this will fall nothing short of bada$$. Thanks a lot guys for doing what you do. Yeah that was an awesome mix. I play that one a lot too. 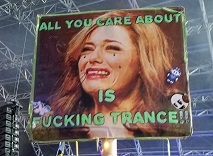 Keep up the good work guys, as we all have to keep the trance alive. Yes hopefully Trance will last a long time. I'm very hooked by it. I already got almost 8 gb (2 X 4.7 gb dvds) of mixes!!!! new mixes this week and it may even be possible for me to make it to the shows!! I hope to see everyone there! DJ GT and Project C are the masters of vocal trance! I too have all of their sets and have been a huge fan since spring 2005. Geez, been running on DI and nobody's around?